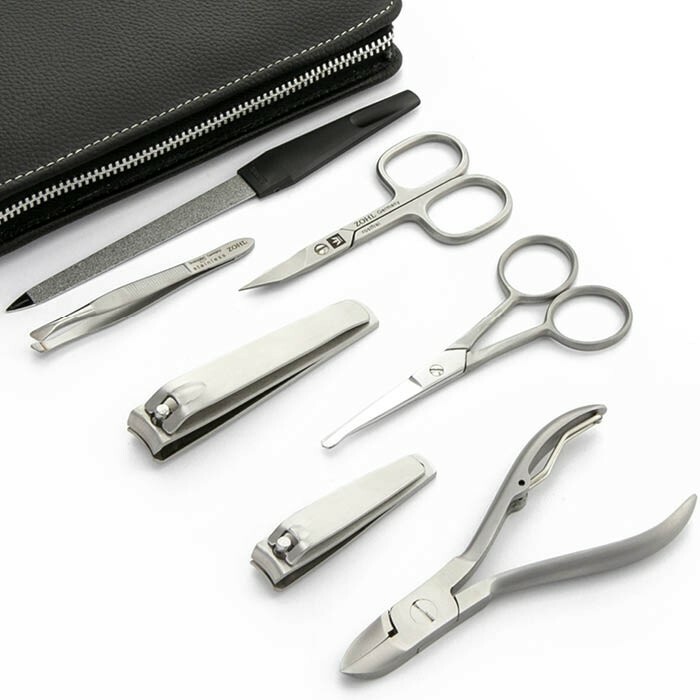 Step us from using your mum's or partner's nail clippers, and invest in the high quality complete manicure and pedicure set for men by Zohl. It is made in Germany from strong, rust proof stainless steel and and will give a long and reliable service without any need of sharpening. 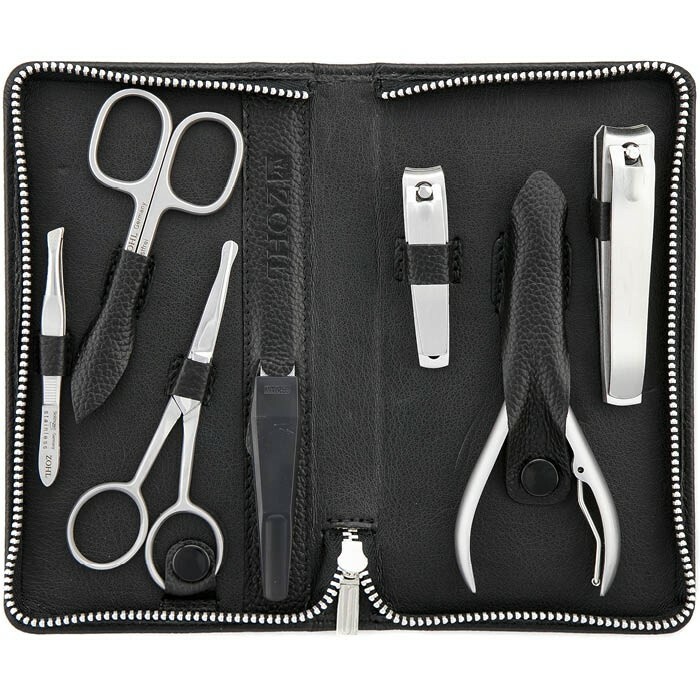 Handsomely presented in the black leather case with a metal zipper, the set includes mens favourite nail cutters to take care of his fingernails, toenails and facial hair. It's a perfect gift for men on any occasion: Christmas, Birthday or Father's Day - and will be his best companion in daily grooming. Men who like the best quality for their grooming, will be pleased with this high quality ZOHL manicure and pedicure set. 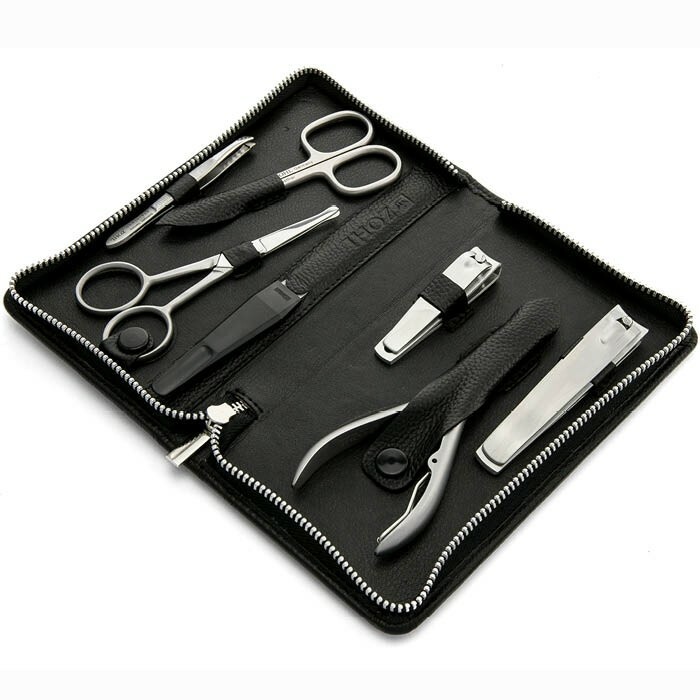 It is an exclusive set made for men who care about their appearance and prefer the best nail instruments that can be used for many years without sharpening. 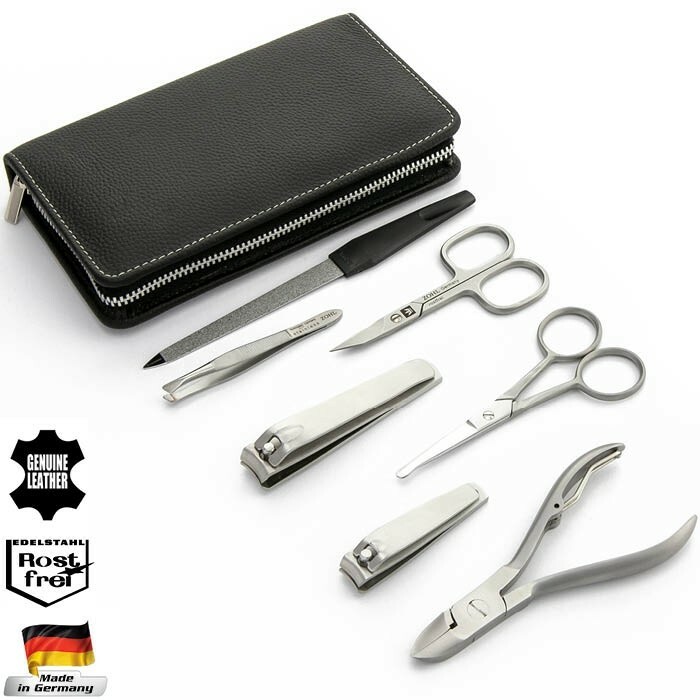 Zohl mens manicure and pedicure set is crafted in Germany - the motherland of the world's best cutlery, and will impress with cutting and precision characteristics of its tools, as well as durability and trouble free service. 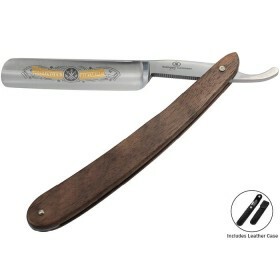 Rostfrei German steel used in this set is of very high quality and suits to trim tough and thick mens nails. 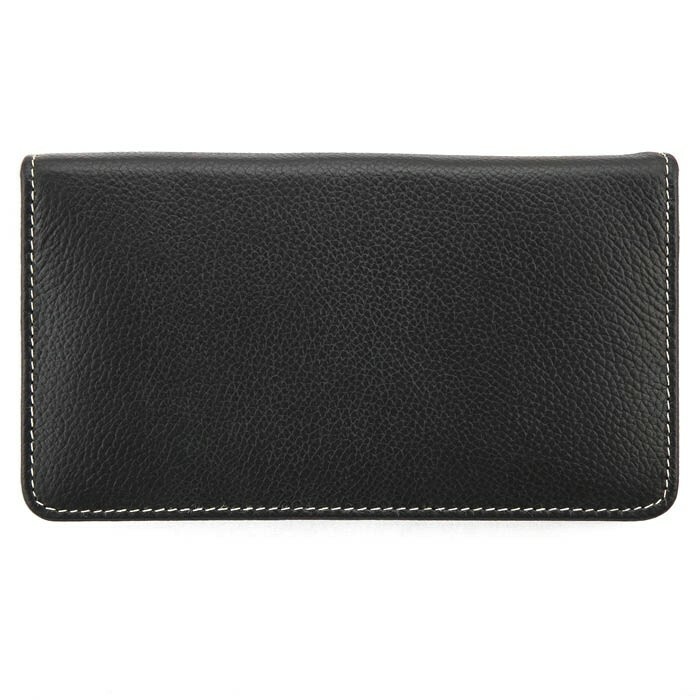 Luxury black leather case with convenient metal zipper secures all items in place and makes an excellent gift for a man to keep at home or for travels. Slant tweezers (8cm) to remove unwanted bodily hairs. Case measurements (closed): 16.5 x 9.5 x 2.5 cm.